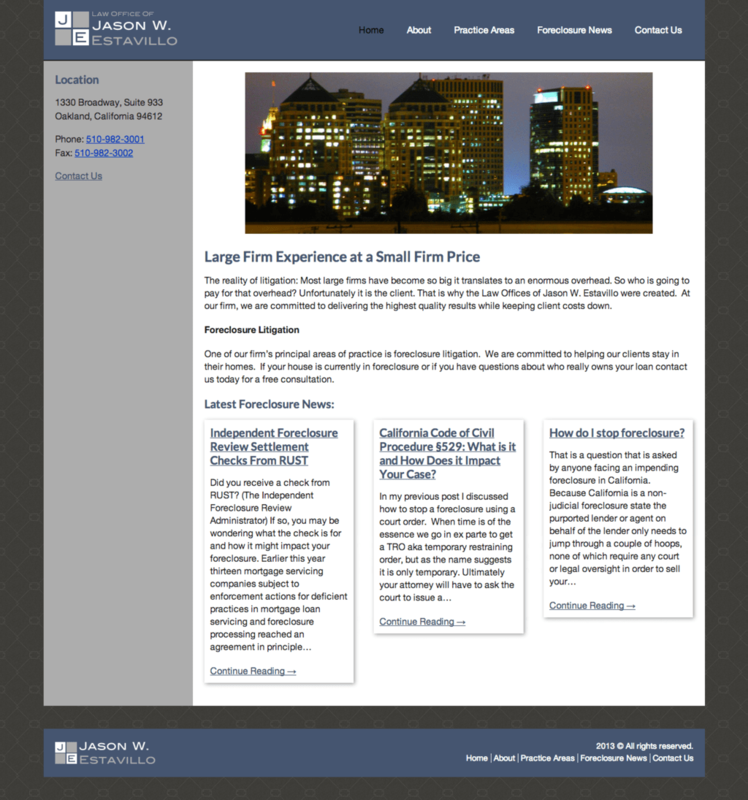 Prior to contacting KornDev, Jason W. Estavillo’s law firm was running their site on another content management system. They were experiencing several issues with their site including tons of SPAM comments and contact form submits, site downtime, an inability to access and update basic SEO settings, and general issues updating and maintaining their site content. We quickly ported their site over to WordPress, recreating the exact design and content flow. In the process, we setup hosting on our servers and hardend their site to help reduce the ability for SPAM comments and submits coming through. We further gave them full access to all of their SEO settings on site wide basis as well as a per post and per page basis. The site is now running incredibly faster than it was before, has close to zero SPAM being generated from the site, and is much more stable on it’s new hosting environment.